Bricks are used to construct residential homes, businesses, walkways, and retaining walls; basically, bricks are used for everything! That’s because brick is one of the best building materials available, but why? Here we detail the 4 key reasons brick is ranked among the very best: it is durable, beautiful, energy efficient, and sustainable. Brick walls are better at insulating your house from the cold and the heat than most other building materials. An all brick house is more energy efficient, and costs less money to maintain in utility costs. As a result, brick houses utilize fewer utilities, thus decreasing the impact humans have on the environment. Lowering your overall costs and simultaneously saving the planet, what could be better?! A brick wall can last hundreds of years, or more. Some of the oldest buildings in the world that are still standing were formed from brick. When you install a quality brick wall you can be certain it will stand up to the test of time. Bricks are incredibly strong, known as a load bearing material they are able to fully support a building. Bricks are strong and long lasting but they are also great agers. Bricks age very slowly, and thanks to their unique natural coloring it takes a long time before bricks start to show any sign of dirt build up or stains. Thanks to the durable and strong nature of bricks, a brick building is low maintenance and low worry. Bricks are undeniably classic, beautiful and richly diverse. No two brick walls are ever exactly the same. Plus, bricks can be placed in a number of ways; utilizing different patterns for stand out style. Bricks are used indoors and outdoors, they can be made to look modern, rustic, country, and beyond. So many different styles incorporate bricks, from ancient castles to some of today’s most beautiful homes. Many building materials cause a great deal of pollution that harms the environment in different ways. Bricks are a great material that is actually sustainable. 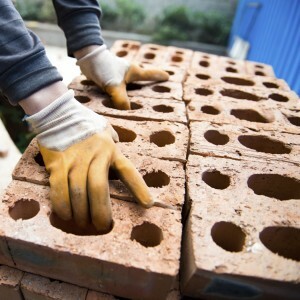 The production of bricks is becoming more and more efficient as well as green. Brick plants are now putting alternative energy sources to work, using non-fossil fuel resources, such as capturing methane released by trash from landfills or agricultural waste. Unlike wood, which requires taking down trees, brick is not made from a non-renewable resource. You can build a house using as many bricks as you’d like without taking away from the natural beauty of remote rainforests. Also, since bricks can thrive as a beautiful building material for so many years without needing to be replaced, the number of bricks required for manufacturing plants to bake and ship out each year is reduced. All in all, bricks are a sustainable building material that can help our world be a greener place for many years to come (Learn more). Heat resistant to help reduce the likelihood of a house or business fire. Great noise reduction, allowing less noise to get in as well as out. 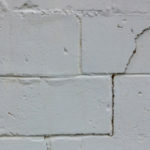 Unlike wood, you don’t have to paint brick in order for it remain protected. 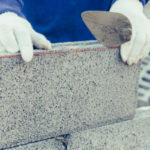 If caught on time, brick issues can be addressed one brick at a time instead of having to replace an entire wall or structure. Brick Cons—Is Brick Right For You? If you live in a region where hurricanes are common, bricks are not as good at standing up to this challenge as say a concrete block home. If you live in a climate that is very humid, porous bricks invite in mold. If you live where it floods up past the bottom of your home, a brick foundation can become soaked and break down over time. 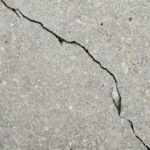 If this is the case, it might be best to use a different material at the bottom base of your home, and start the brickwork further up. 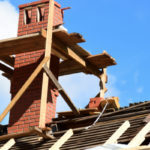 If you use poorly made bricks or bricks that are used and already damaged or weakened, you will likely encounter a number of issues. Using high quality bricks is of great importance. Bricks provide a strong, sustainable, environmentally friendly, and beautiful building material that can add character and charm to any building. If you are considering brickwork, contact Turnbull Masonry.